In 1906, the U.S. economy was in shambles. Banking titan Jacob H.. Schiff, who was to become founding chairman of the New York foundation, issued a stern warning that America would face critical failure if the nation didn't modernize its banking and currency systems. There would be "such a panic," he said, "As will make all previous panics look like child's play." 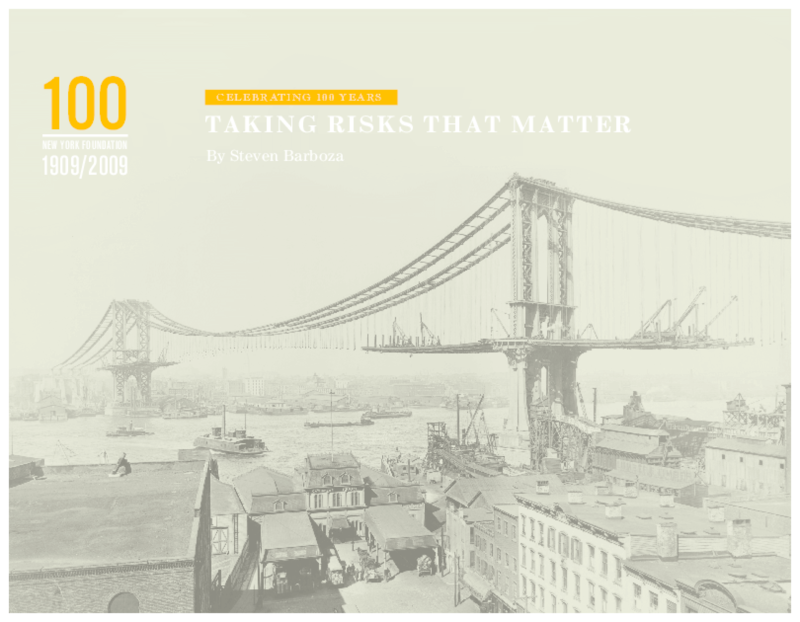 The country did not heed his call, and in 1907, economic conditions worsened, the situation capped by two stock market crashes and a global credit shortage. Depositors lined up to take their money out of the banks. A little more than a hundred years later, the U.S. economy plunged once again. This time, investor Warren Buffett shared his view on the crisis, saying the economy has "fallen off a cliff." 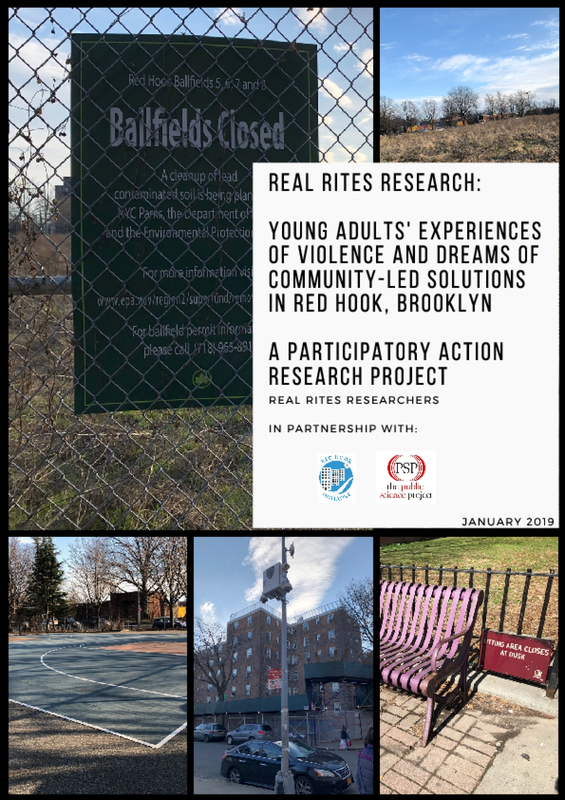 At first it might seem paradoxical to celebrate grantmaking amid the current economic conditions. But rich traditions of philanthropy deserve special honor not just in flush times, but also in times of greatest need. And one foundation--established in an economically stressful period of American history, when there were few templates for grantmaking--warrants recognition. Even during the toughest times of the past century, that foundation has stubbornly clung to the ideals upon which it was founded: social justice, grassroots giving, and faith in the resilience of New Yorkers. That foundation is the New York Foundation. This is its story. 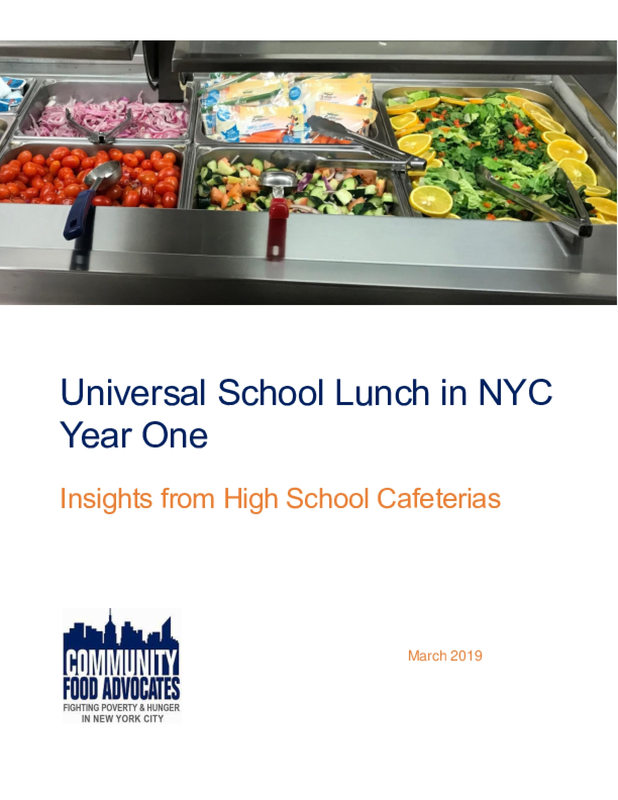 Community Food Advocates has just completed a new report of the first year of the Universal School Lunch program, with a deep dive into how the program has worked in high schools - where the students have been the hardest to reach. We visited high schools in all five boroughs, totaling 132 high schools in 54 buildings. We met with school administrators, cafeteria staff and students. Our visits to high schools helped us identify practices that can promote the program and encourage students to eat school lunch. These findings form the basis of our recommendations to the Chancellor, the Office of Food and Nutrition Services and school administrators. We are pleased to report that high school students' participation increased by 15.2% - with little public promotion of the program. And high schools with the new Food Court-style cafeteria redesign increased participation by 31%! That is why significantly expanding the number of schools with the cafeteria redesign model remains a high priority for the Lunch 4 Learning Campaign. 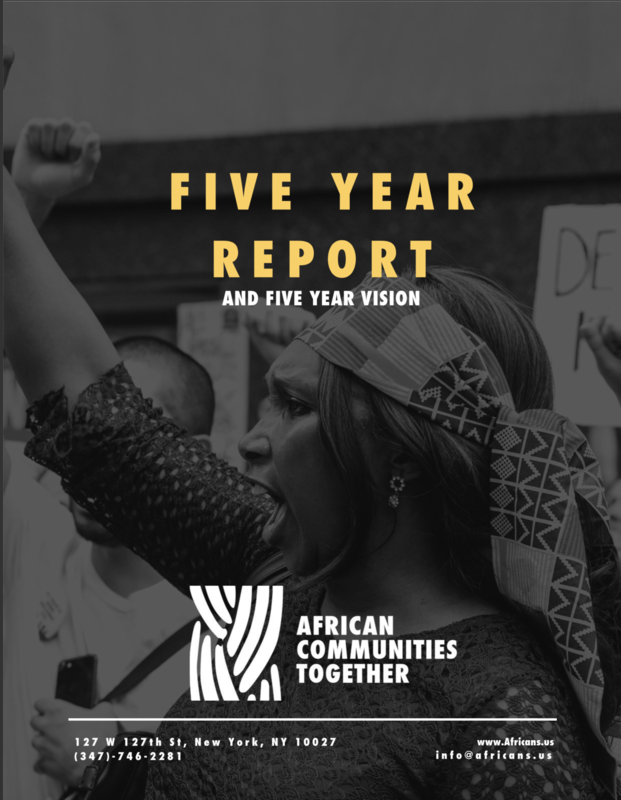 African Communities Together recently celebrated five years of making change for African immigrant communities. Take a look at our report on what we've accomplished together over the past five years, and our exciting vision for the next five years! 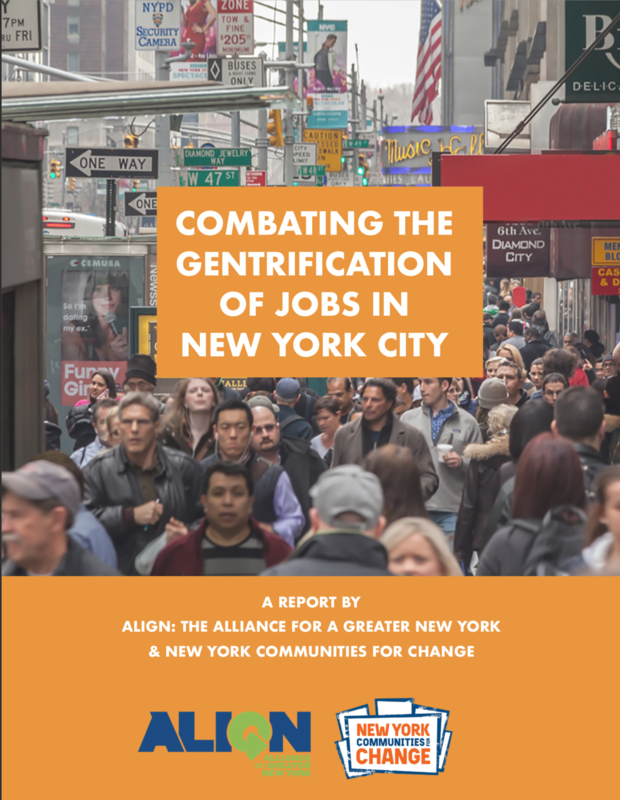 Good paying jobs are growing in every borough of the city, but many New Yorkers, especially low wealth New Yorkers of color, remain disconnected from those jobs. While 57% of jobs in the City are good paying jobs, they are less likely to go to local residents of color. Communities of color are not only excluded from the City's economic boom, they are at greater risk of displacement as housing costs rise and access to good paying jobs remains limited. Swept up in the Sweep: The Impact of Gang Allegations on Immigrant New Yorkers details the Trump administration's using supposed-gang enforcement to carry out punitive immigration policies. Through an extensive field study, the report shows how Immigration and Customs Enforcement (ICE), with other federal agencies and law enforcement, uses arbitrary methods to profile immigrant youth of color to allege gang affiliation. 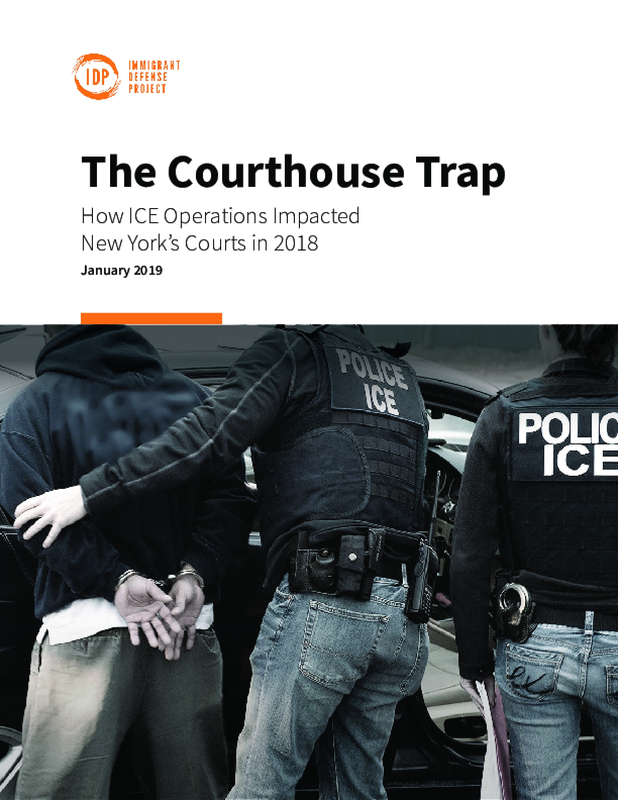 The report was written in collaboration with the New York Immigration Coalition (NYIC) and the Immigrant and Non-Citizen Rights Clinic (INRC) at the CUNY School of Law. 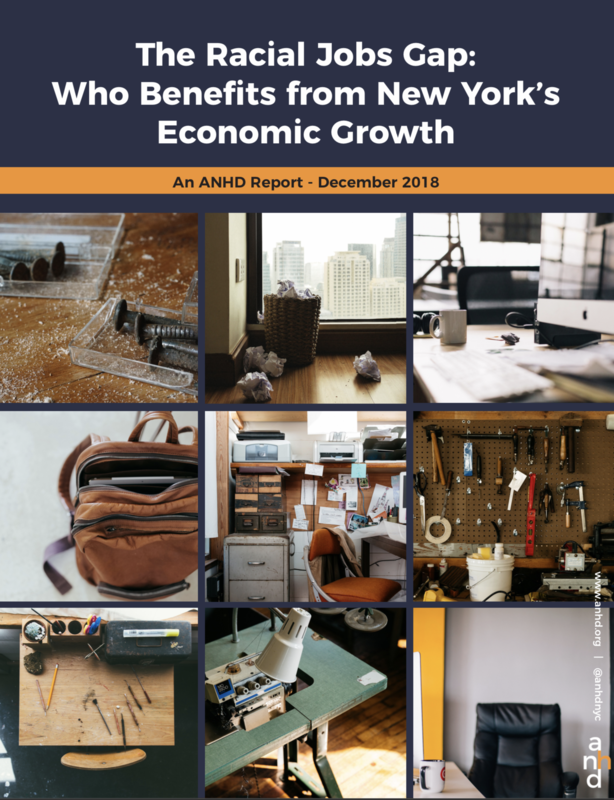 The dominant narrative is that New York City's economy is booming. But it's only booming for some. In places like Brownsville, Brooklyn and University Heights in the Bronx, unemployment is still more than 10%, compared to the city-wide rate of 4.3%. 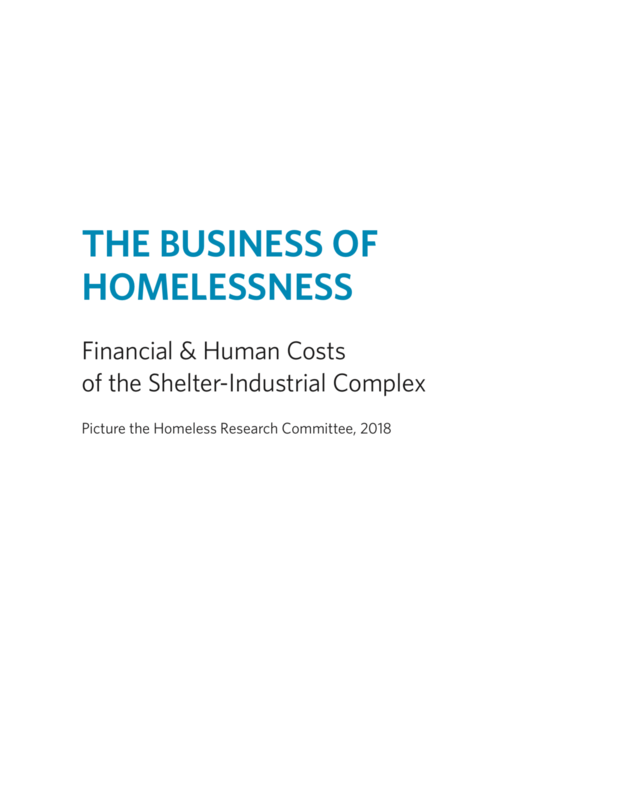 This report is the product of a year-long investigation by Picture the Homeless's research committee into the fiscal policies and priorities that influence the lives of homeless New Yorkers. As the city's homeless shelter census has grown to a record high of over 60,000 people, the city has also seen its spending on shelter increase to an all-time high of over $1.8 billion, with an additional $650 million in capital funding allocated to upgrade and expand the shelter system in the next 10 years. By failing to create new units... the city is ensuring that shelter entry will continue at pace for the foreseeable future.